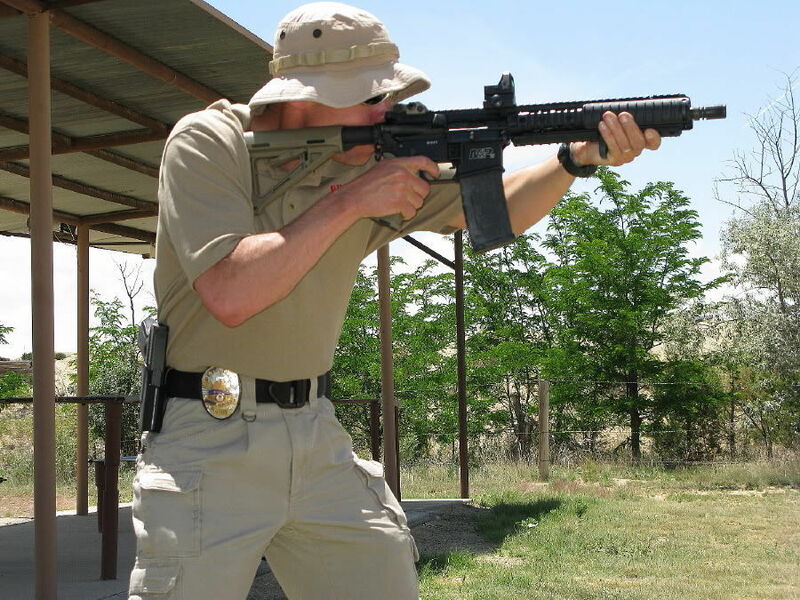 In June of 2009 I hosted a Magpul Dynamics' ( www.magpuldynamics.com ) Pistol 1 / Pistol 2 course. During that course on a break, Travis Haley and I went to another range to get some rounds down range on a couple carbines. While I was there Travis let me get some trigger time on his Smith & Wesson M&P upper along with Chris Costa's 11.5" Knights Armament Company(KAC) upper with KAC Triple Tap brake and KAC handstop. 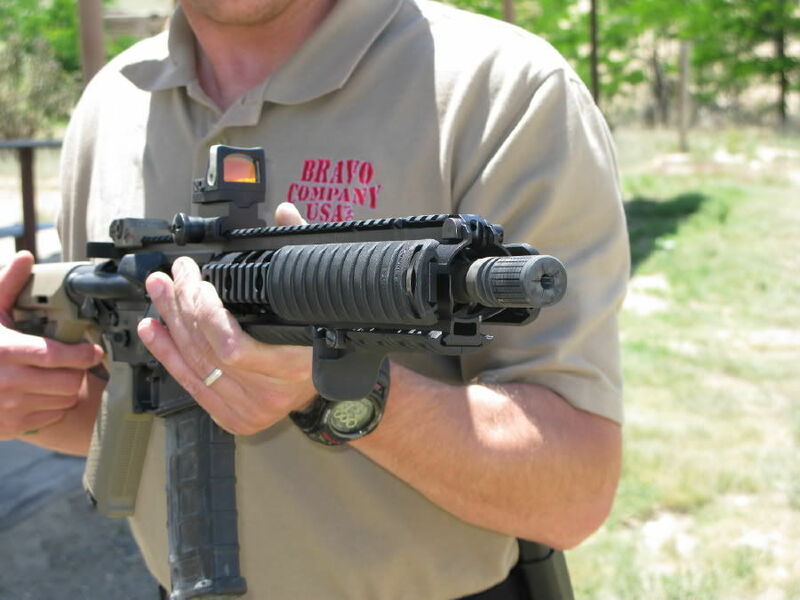 I have the Surefire 556k muzzle brake on a couple of my personal carbines and it's a very effective brake. Loud and somewhat obnoxious, but effective. I fired the Surefire 556k muzzle brake and KAC Triple Tap muzzle brake back to back. The Surefire 556k was noticeably louder and I noticed the blast more, but reduction in muzzle flip was very good. First thing I noticed when I shot Costa's KAC upper was that the it lacked the obnoxious blast of the Surefire 556k and wasn't nearly as loud, yet recoil reduction was close to that of the Surefire 556K (not the same, but close). 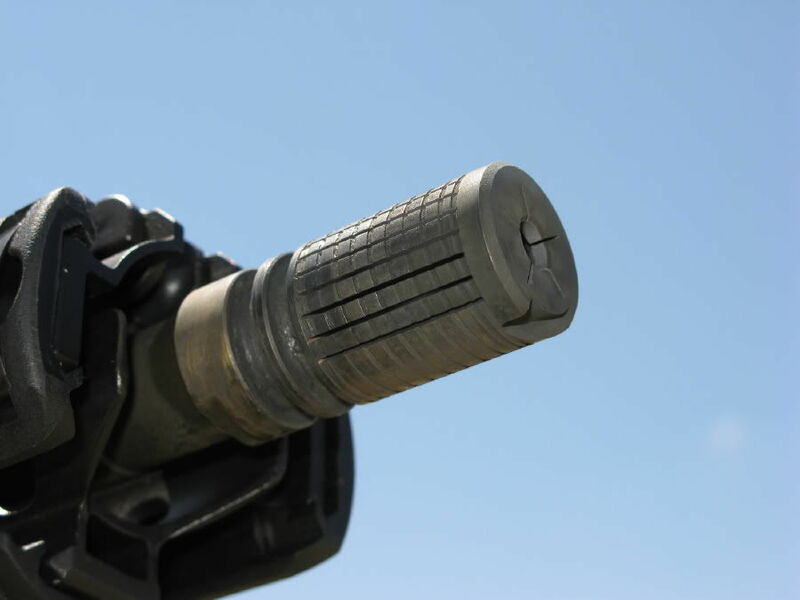 Due to it's design, the KAC Triple Tap dispurses gases and blast in approxiamtely a 320 degree area, instead of just at 3 and 9 o'clock like most muzzle brakes. 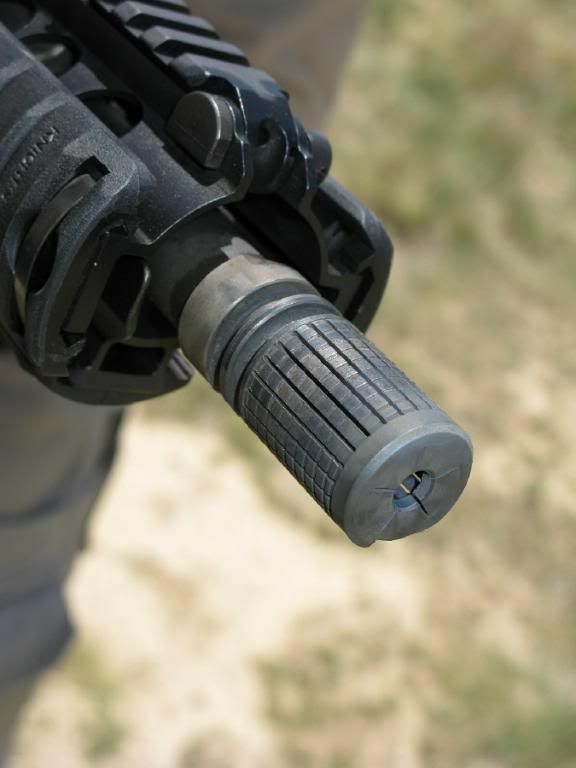 I was unable to do a side by side comparison of the Triple Tap vs. the USGI A2 flash hider / compensator, but I would say that the KAC Triple Tap is slightly louder than the A2 compensator, but not by a wide margin. 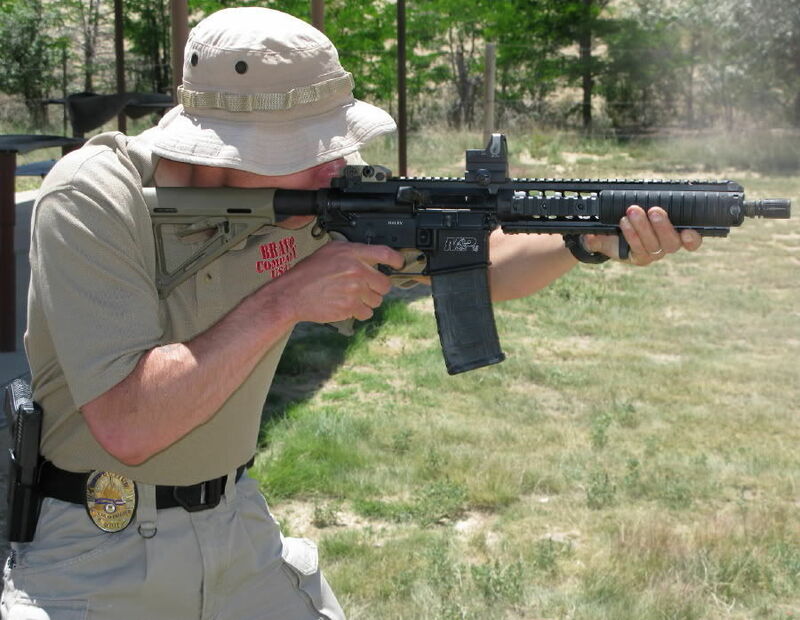 Overall I was extreemly impressed with the KAC 11.5" upper and the Triple Tap. Very smooth cycling, overall package was short and compact, enough rail real estate, very little muzzle climb, and not overly loud or obnoxious. 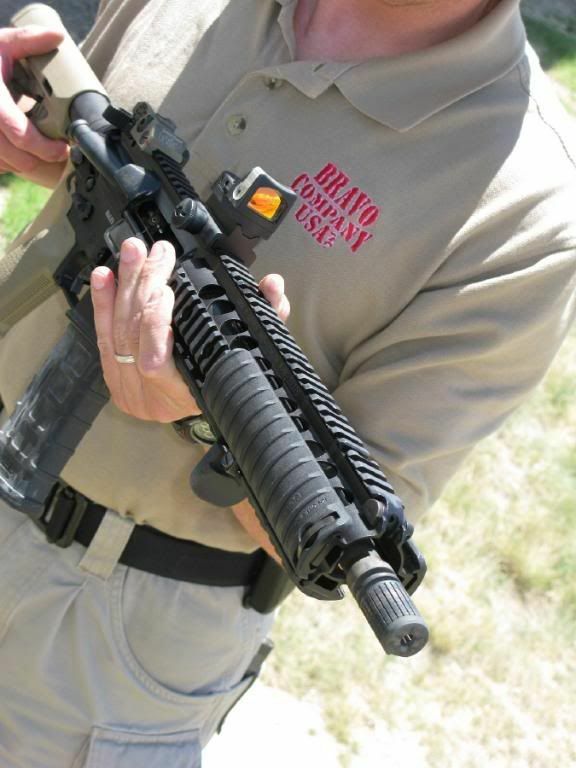 The Triple Tap was short in overall length, it did an excellent job at reducing muzzle flip and felt recoil, the muzzle blast was minimal, it was not obnoxious (like many other muzzle brakes). I was very impressed.